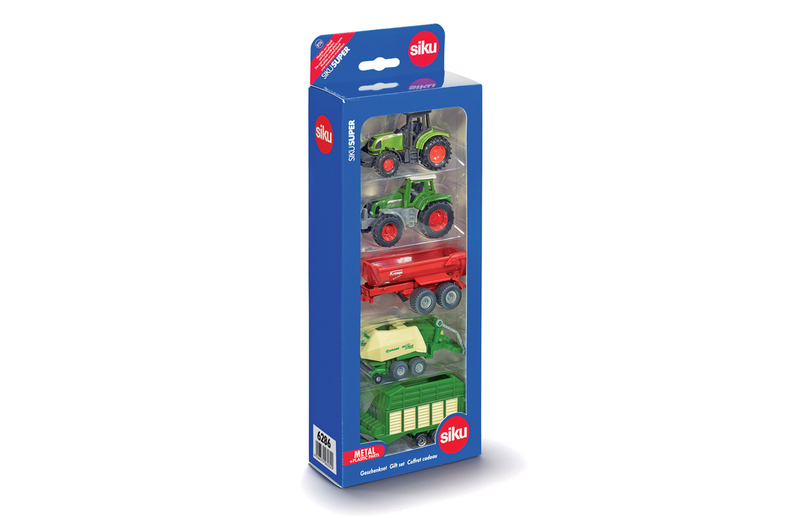 Gift set with 2 tractor models and 3 trailers. 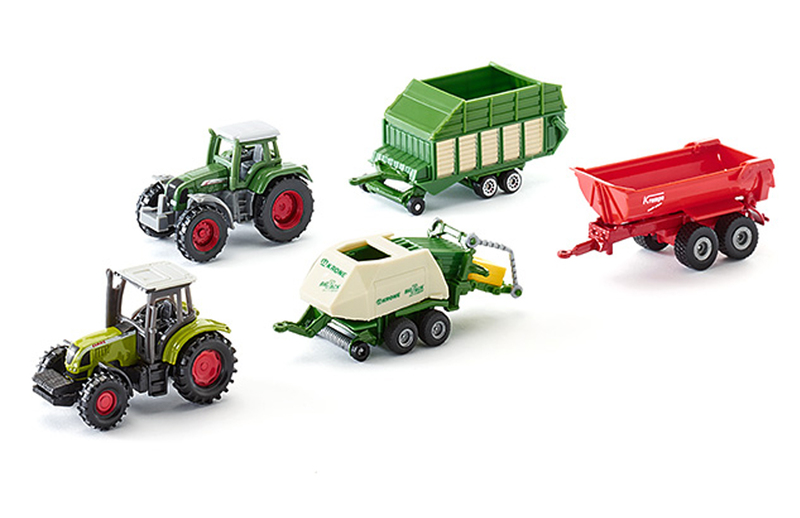 The set includes a Claas and Fendt tractor and is complemented with a tipper trailer, baler and forage wagon. Presented in an attractive gift box. Great gift set containing a number of cute farm vehicles. With two tractors, a trailer, baler and forage wagon this set will keep the young farmer busy on his or her model farm for hours.